The deadline to submit a speaker proposal for the 2018 Online Teaching Conference (OTC’18) has been extended to Feb. 16. 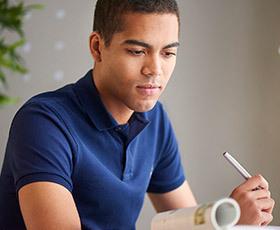 Don't miss the opportunity to address the online teaching community. 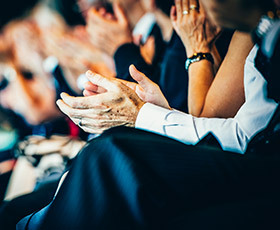 Submit your proposal today. 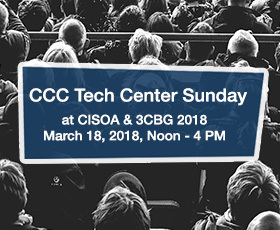 The California Community Colleges (CCC) Technology Center will have a dedicated half-day of sessions at the CISOA & 3CBG 2018: Pathways to Student Success conference, being held March 18-21, 2018, in Ontario, Calif. 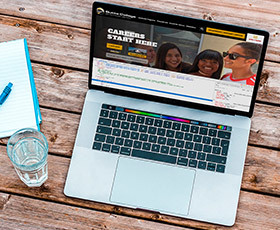 The Foundation for California Community Colleges, through its CollegeBuys program, continues to expand opportunities for continued cost savings for technology projects statewide. 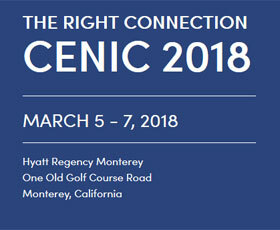 CENIC, the Corporation for Education Network Initiatives in California, will hold its 21st annual conference, The Right Connection, March 5-7, 2018, at the Hyatt Regency in Monterey, Calif. 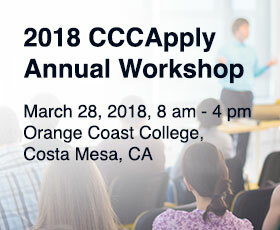 Registration is open and the full program is now live.